There it was, a note taped to our door: “You are scheduled for the annual mandatory apartment inspection per the terms of your lease. You need not be home for the inspection.” The note went on to specify the week the inspection was being conducted, and the block of hours. At the time, I had just finished packing the 5-gallon buckets of staples, and they were all over the dining room. I called the Leasing Office and asked for more details about the inspection. 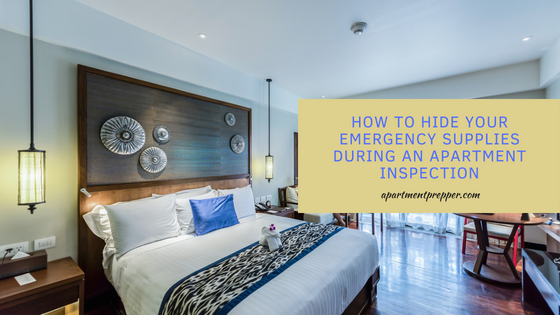 The Manager indicated it is an annual inspection to check on appliances, fixtures, and walls, to make sure they are still the same as when we moved in. I think they just wanted to make sure no one has repainted the walls, torn up the carpet or sold off the fridge. I did not have a problem with management inspecting the unit but I also don’t like having strangers traipsing around my space. I just did not want to advertise our stockpiling efforts. Check fire alarms and sprinklers: This is the most common purpose I have seen. The city requires an annual inspection of fire safety equipment, and send a representative to inspect. Repairs: After the last hurricane, maintenance came in to check for ceiling damage. They’ve also asked to come in to change the air filter in the A/C, but we always tell them we bought our own. Looking for illegal activity: This had to have been the strangest one that I’ve experienced. Building management inspected all the bathtubs in the apartments, to make sure no one was using them for purposes other than taking a shower. While there is nothing wrong with having emergency supplies, you also don’t want anyone knowing about your business. After I confirmed the scheduled date and time, I started moving the buckets to inconspicuous places such as under the dining table covered up by a long tablecloth. We also moved some items down to a corner area of the garage and covered them with a tarp. We already knew what they were inspecting, so the garage was not an area they would scrutinize. Also, the weather has been fairly cool, so a couple days in the garage would not degrade the contents of the buckets. The day of the inspection came, and the inspector with a clipboard quickly came and went. We moved the buckets back inside the unit. We were glad it was over, but then the following week, we got another note that our unit was chosen for yet another inspection. I spoke to the manager again and politely mentioned we have just gone through this, why do we have to do it again? I also told them nicely that this is really not a convenient time, and asked if they can possibly choose another unit. To my surprise, the manager actually agreed. She found another unit to inspect instead of ours. If you have supplies in your house, be careful about who you let in who can see what you have. Because apartment dwellers have the possibility of being inspected, we need to be aware of our rights and what we have control over. When you are informed of an inspection, reread the terms of your lease, your rights as well as what the manager can do and cannot do. Even if you are objecting or refusing to do something, be very nice about it and you just may get what you want. One reader told me she keeps long dresses she bought from a thrift store to camouflage supplies in her closet. To anyone who checks, she appears to have gowns, but no one would ever think of looking behind or underneath the dresses. Spread out your stash, so it does not look noticeable. I think some inspectors are nosy, but having you around may quelch this tendency. If possible, try to be at home during the inspection, so you know what is going on. Apartment inspections are an unavoidable part of renting. But you can take steps to preserve your privacy and avoid having strangers being privy to your emergency supplies. Over the door shoe organizer -  I use several of these throughout the house, and not necessarily for shoes. Small items like first aid supplies, personal care products, etc just fit right in and no one really looks at them. Ottoman with storage - You can hide lots of supplies inside this ottoman. Good reviews too. Vertical dresser storage tower - Looks very inconspicuous for storing emergency supplies. 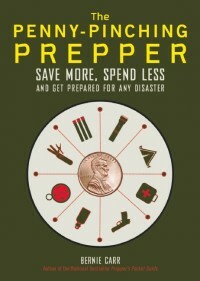 Help support Apartment Prepper! Your purchases via my Amazon link help me earn a small commission (at no extra cost to you). Thank you! I went through this last year when the building was being sold. Had 3 different inspections. I use a lot of “Rubbermaid” type storage bins I bought at Goodwill mismatched lids and old labels. I also like the metal popcorn and cookie Xmas tin to keep supplies in. I tape the lids on all the containers so I know if someone has been looking in them. You can by tamper tape at most industrial suppliers. For really important things (like my pistols) I have a large tool box with a padlock on it. anyone picking it up will expect it to be reasonably heavy with tools any way. Hey Ben, Popcorn tins and Rubbermaid type storage bins are great for hiding supplies. Good to lock up defense items and other important stuff. I try to be home when there is an inspection but with work, it is not always possible. Thanks for the comment. I was lucky to find some soft case at Goodwill that I think are a snowboard case and what looks like a medium guitar case. Both the cases have loops to hang them up and are heavily padded. I have them hanging in my closet with the heavy coats. The cases each will hold a AR15 style carbine with the stock collapsed. They also have a loop to lock the zipper with a very small padlock. They do not look like gun cases and I will use padding in them the keep this in place. I like Magpul magazines because I can load them and snap on the cover and take the pressure off the feed lips. This I have a lot of the ammo and magazines stored in a small package that is easer to hide in with other things. Hi Oldguy, I like that you repurposed the snowboard/guitar case for holding the AR15 style carbine. Very creative, and not obvious. Thanks for the ideas. Two things have spurred this annual inspection thing in the last few years; most rentals are now handled by property management firms rather than personal owners and the laws that hold property owners responsible for illegal drug production on the premises. I guess I get it but it sure feels invasive. Hi Linda, That does explain the increased inspections. I do understand why they have to do this, sometimes it is beneficial for the tenants such as fire alarm and sprinkler inspections. I certainly like to make sure those are working for all the units. But the lack of privacy can be bothersome. Thanks for the comment. There will come a time when you can’t hide it. I just emptied 250 containers/jugs of water..I have drums in the garage and just got tired of looking at the small jugs. I moved the canned goods in that room into the room with the shelved canned goods..stacked/shelved and wall to wall now. So, I have many industrial/walmart/other shelfing units for sale on CL. Home Canned goods are in a closet stacked as are jars of dehydrated foods. You can’t hide 30 drums of water. Or hundreds of mason jars. I even have an 8X8 storage room with shoe boxes of canning lids/gallons of detergent/canning jars/one full shelf loaded with paper products, etc. And the toilet tissue is in the attic. Hi JJ, this is true, sometimes it just cannot be hidden, so just have to deal with the issue. Thanks for the comment. A great article! I think the law in general requires inspections to look at the unit “in plain sight”, meaning they cannot move or touch items in your unit. They have no right to do it short of a search warrant by the police. Having said that, I always keep my security cameras on when I am away. If I ever catch them moving my belongings without permission, the picture and video taken can be used as evidence in law suit. Hi NL, great idea to keep security cameras on while you are away. Thanks for the comment! I was living in a small unit with no garage, yard, or outdoor storage. So when I got my notice for inspection, there wasn’t much I could do. There’s only so much stuff one can shove into cupboards after all. I ended up being evicted for ‘hoarding’ and there’s no legal protection for prepping vs hoarding here. 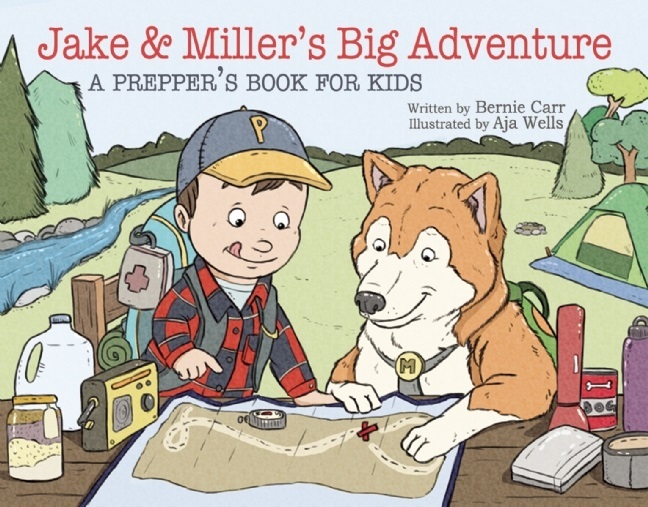 aussieprepper, Sorry that happened to you. A lot of apartment owners do not understand prepping at all.